If you are looking for luxury and privacy in one of Florida's premier resorts ,you found your home. This gorgeous 4 bedroom, 3 bath home features loads of upgrades. The pool area allows the guests to enjoy total privacy on an oversized pool deck featuring a heated pool and spa. Because of the desirable location, this immaculate home comes with loads of bookings. Emerald Island Resort is a 24 hour security guarded community and offers a variety of amenities, such as Community pool & spa,Sauna,Tennis,Playground,Game Room, Internet Facilities and walking Trails. 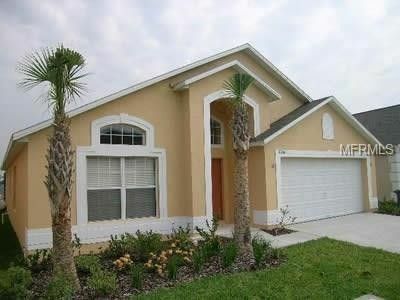 The perfect vacation home just 4 miles from Disney. IRMA was kind no damage at all. Driving Directions: Driving on 192, turn left onto Formosa Gardens Blvd, Turn Right on Funnie Steed, Emerald Island is on the left. Please show your business card at the security gated entrance.